A Team Blog by passionate home educators, sharing their experience and thoughts on homeschooling, online learning, family, and some recipes. Sometimes we joke. Aha. Who wants to write a little homeschooling blues with me?" If you spend any time on Facebook at this time of year then you have probably seen the posts. From the first day of November to Thanksgiving day, people share what they are thankful for. I think this is a wonderful tradition. Maybe we can take it one step further?? How about we challenge ourselves to find something to be grateful EVERY day of the year? I think I'm going to give myself that challenge for the new year. 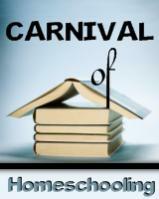 One of our blogs has been featured in the Carnival of Homeschooling. Check it out over at http://sprittibee.com/2012/11/carniv...e-edition.html. Struggles, Disappointments, and Concerns... You are NOT alone! So, hows it going dear friend? Is your homeschool experience this year turning out the way you expected? Are the children happy, healthy, and learning? Is it a perfect world? Does it ever go the way you expected it would go? NEVER… BUT… you aren’t alone! As most of you know Hurricane Sandy came to pay a visit this week. I started out on Saturday stressing about my friend who lives in Jamaica. I finally heard from him late Sunday evening. He and his family came through the storm okay. He wouldn't go in to any detail about damage or anything. But no loss of life and that was all that was important to him.